I love condors and vultures. They get a bad rap due to their dependence on carrion to survive, but I look at it a different way: these species do not have to kill in order to thrive! Most humans cannot say that. 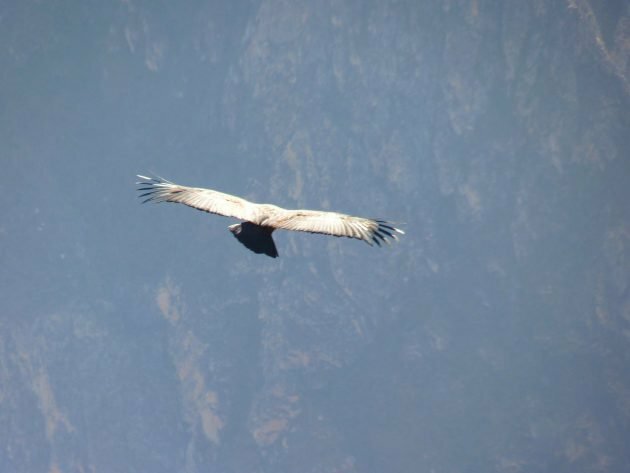 Colombia has chosen one of the world’s most massive flying species as its national bird: the Andean Condor. Their wingspans stretch to 10 feet (the largest wing area of any bird) , and they weigh over 30 pounds. In fact, they weigh so much that they prefer windy environments because the drafts help keep them aloft. Birders can look for them in mountainous regions, but also along coastlines and deserts with strong thermal currents. 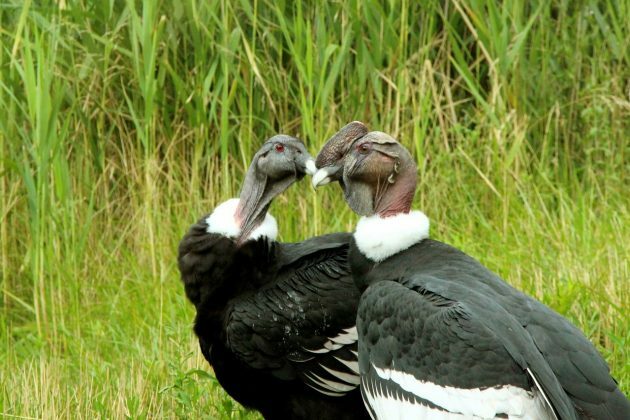 In terms of coloration, National Geographic describes the Andean Condors as “mostly black, but males have a distinctive white ‘collar’ around their necks and some white markings on their wings as well. Like their relatives, the California condors, Andean condors have bald heads.” Though many think their bald heads are ugly, they are able to scrape them along the ground to remove food scraps and germs after feeding. As aforementioned, the condors feast mostly on carrion. With their great eyesight, they spot meals from high in the air, descending and eating their food with specially curved bills and giant talons. It’s true, they prey on baby or weak animals as well, but carrion makes up the majority of their diet. In addition to serving as national bird, this condor features in the Colombian coat of arms, where it sits at the very top. Unfortunately, the range of the Andean Condor has decreased. It was placed on the Endangered Species List in 1973, its populations dropping mostly due to hunting pressure from farmers who believe they kill livestock. Pesticide poisoning also remains a problem. Colombia, right? It’s a great bird they’ve got!